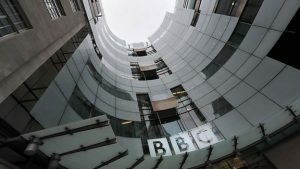 The UK government has confirmed that the BBC licence fee will increase from £150.50 (€171.75) to £154.40 per year from April 1, 2019. Those buying or renewing a licence after 1 April 2019 will pay the new fee. The cost of an annual black and white licence will rise from £50.50 to £52.00. Those who are blind or severely sight impaired are still entitled to a 50% concession on the cost of their TV licence. All UK viewers who watch BBC TV content – either via linear TV, catch-up or online through the BBC iPlayer – must, by law, pay for a TV licence. However, you don’t need a licence to listen to the BBC’s radio stations or its BBC Sounds or BBC iPlayer Radio apps. The new licence fee equates to £12.87 a month, for which users get access to nine national TV channels plus regional programming and iPlayer content. British dramas Bodyguard, Killing Eve and McMafia were the top programmes requested on BBC iPlayer in 2018, according to official BBC stats.